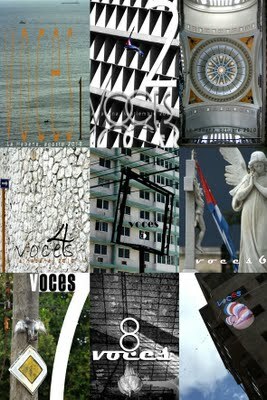 ABOUT TO RELEASE THE PAGES OF VOCES 9…! 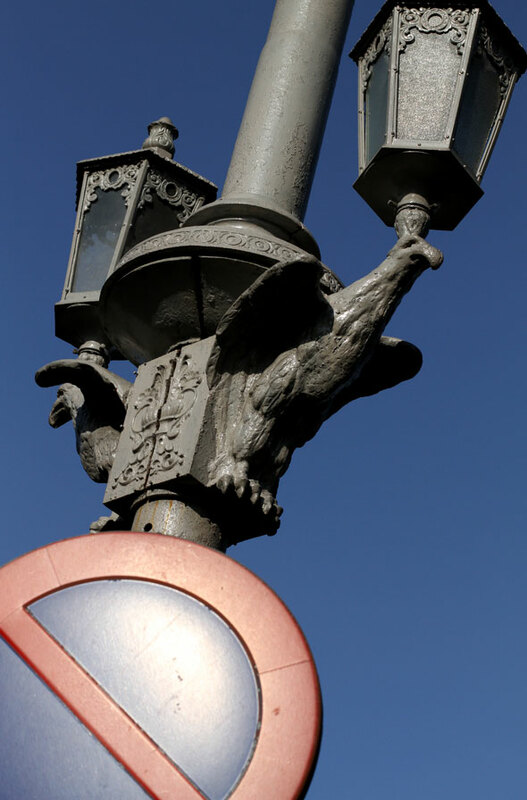 FOR WHOM THE IBERIA TOLLS…? History repeats itself. 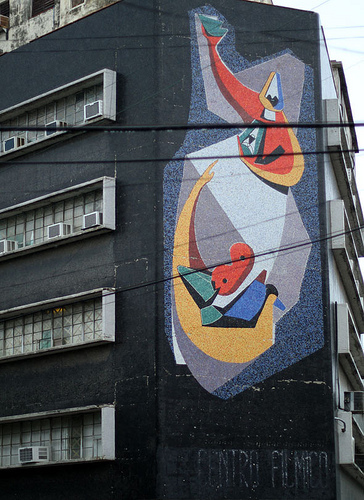 Once as comedy and another time as a black hole, abyss of pre-capitalist post-modernity that is inhabited in Cuba. Its name isn’t even known. 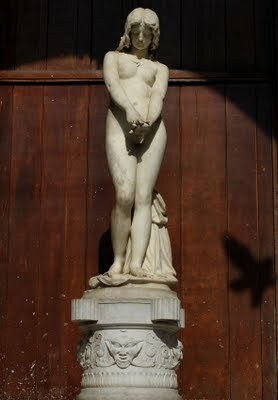 Barely Adonis, a word that maybe even he ignored in his ancestral echoes of splendid or ruinous marble. His body doesn’t count either. His history even less. The pain in the Island has been for a long time diluted among masks and make up, plastic arts of the very political death of this country. From an imaginary death, to a gradual dropper and without social blame. 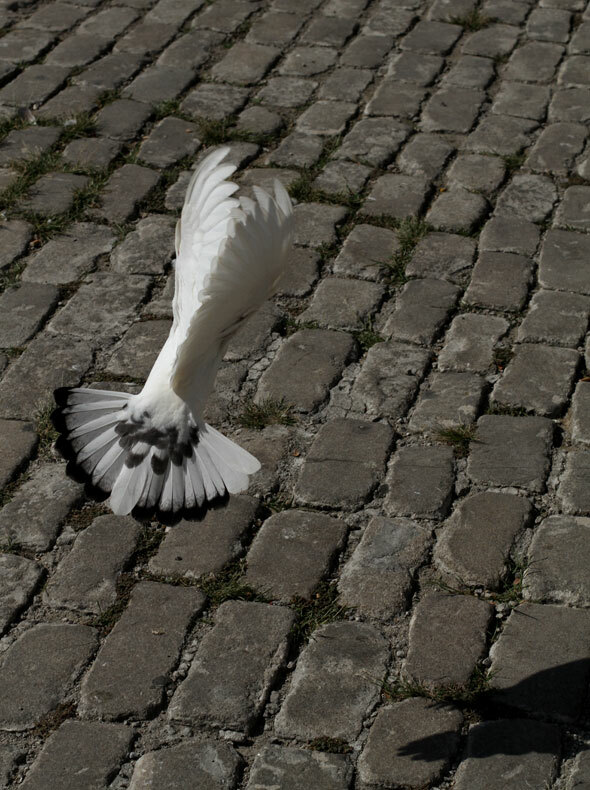 From a weightless death, at a height of ten thousand feet and then as a fetish of the free European press. 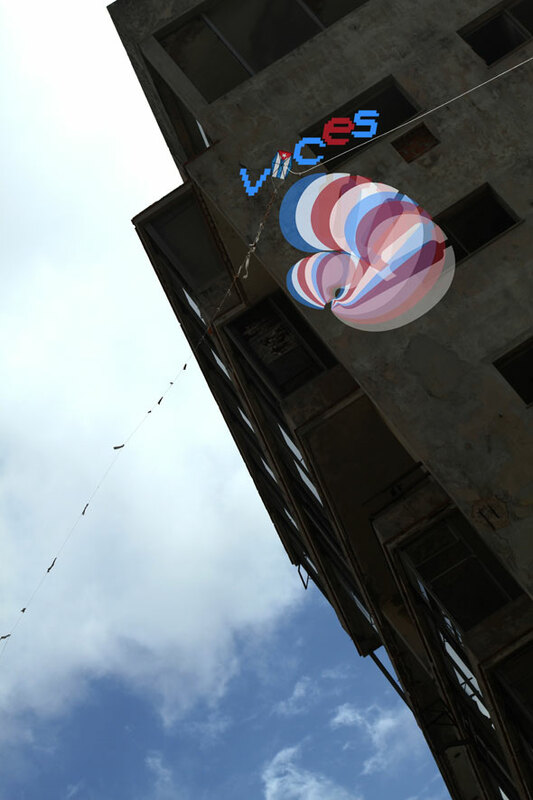 Corpse in a flying object identified with an Iberia logotype, news or necro cloud that will never rain over Cuba. Statistics apart from the State, that looks the other way and applauds in peace. 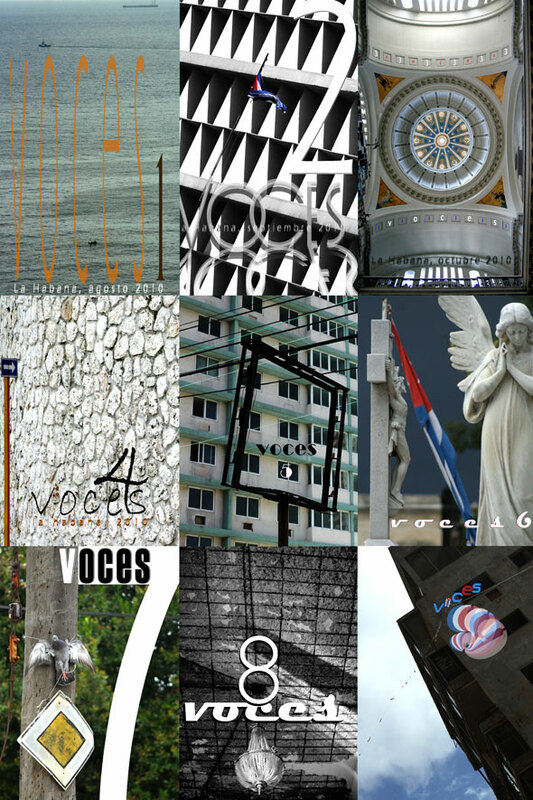 Biographies without orthography that Cuba will not cry over. To the contrary. At times it ignores them and at times it pokes fun at them. Our humanity as a planetary race ended at some point of the last century and millennium, in the splinters of some corner with no name of that thing cynics call “Cubanity”. Adonis suffered in accelerated time the torment of Cubans throughout the time and strait of decades. His hunger strike was also an oxygen strike, cryotorture, compressing a minimum of liberty, extreme socialypsism, grotesque wink at Google Earth, scandal suppressed by the local security organs. My name is not as divine as his, but the absurdity surrounding Adonis moved me. His illusion against the law of probability. His terrible performance. His days cut short of the world. His being nobody, because now, suddenly, even his family, if he has one and they already know, left him lying in a capitalist morgue of Spain (ipso facto citizenship by rigor mortis). What to think. What to utter. Please, a minute of blogger silence for the dead who still have to die. Silent holocaust. Criminal captions. Deafening noise. Jonah of the New Man in the competitive belly of Iberia. Cubansummatum est…! 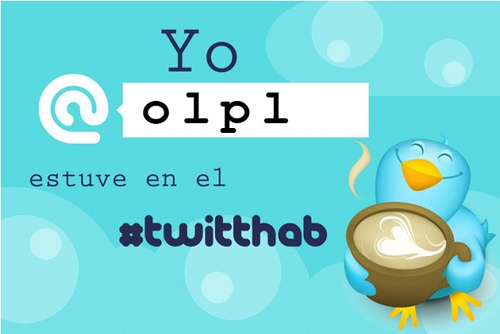 Categories : OLPL, Translator: Claudia D.
#TwittHab or #TwittJa…?, originally uploaded by orlandoluispardolazo. OUR TWITTHAB WHO ART IN DIRT…. 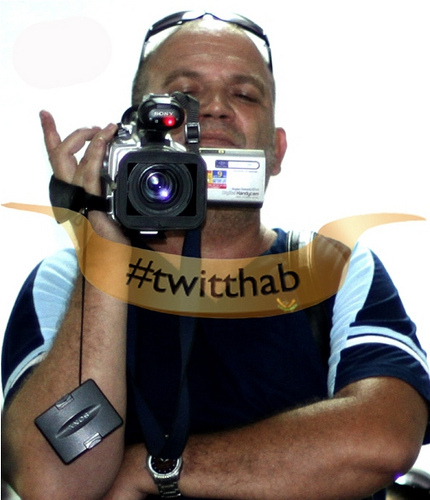 OUR TWITTHAB WHO ART IN DIRT…, originally uploaded by orlandoluispardolazo. Where is this Havana Wonder…? Where is this Havana Wonder…?, originally uploaded by orlandoluispardolazo. POST REVOLUTION MONDAYS asks in what part of our Havana who art in mud we can find, still today, this wonder of an image. Who made it? When? Why? Don’t leave me in apparent ignorance. Write me a comment here about this architectural jewel, please…! Work Table of Madrid Now…! Work Table of Madrid now…. !,originally uploaded by orlandoluispardolazo. 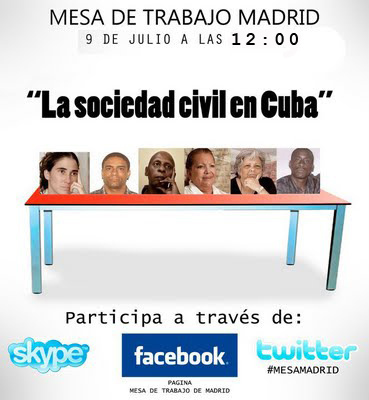 Saturday July 9th, the second Work Table will be celebrated in Madrid. On the topic The Emerging Civil Society, we will have a participatory debate with Miguel Angel Garcia, president of the ONGD CENINFEC (Center of Information and Documentation of Cuban Studies), which will contribute interesting facts about the topic. Participate along with us and give us your opinion. GET ON IT, DAMN IT…! Let yumas [Americans] do and undo in Yuma [America] as they democratically please. It would be too much already if from Cuba, we Cubans pretended to dictate norms in American politics. It is their Congress, their Committee, their Foreign Affairs, their House of Representatives or of Repression, their Obama, their Cuban-American exile. Their baggage. If the heavy, or pedantic tanks wish to go back to April of 1961, or to October of 1962, let them go back. It is their sovereign right to legislate or counter legislate. Their paycheck. Cuba is only one more section, not the center of the world to them. Almost a curiosity. Fire to the pot until the bottom burns. Better that way. Never was Cuban society more real-socialist than when the Island’s isolation was absolute (and not only on the part of the US, but also of half of Latin America). Since 1898, without yumas this was a land of barbarity. No worst beating than that of your own. In the seventies, when a tourist was a rara avis, almost always a G2 spy, there wasn’t any oxygen for anyone and the nation simply went the way of North Korea. Come Mao or high water. Wars in all of Africa. Guerillas in all of our hemisphere. Thousands of prisoners, then thousands and thousands of emigrants. Ah, we were so free. Our hands were so free to dictate within all of our Archipelago CUBAG. The imperialist eagle was only a still shot of what awaited us outside of Cuba, according to ICAIC news by Santiago Alvarez. Never did people think so little and so badly within Cuba as they did then. Literature died. Television aroused disgust. There were no minorities (nor queers). The iron curtain fell, and when it seemed that Carter and Billy Joel were going to raise it a bit, Fidel Castro moved heaven and earth to make sure a decade more of Republican conserva-tatorship followed in the White House. It is my opinion that, due to a lack of imagination and an excess of politicalogic technicalities, history must repeat itself now. Why rehearse an innovation? Why play XXI century? Who said the future is around the corner? 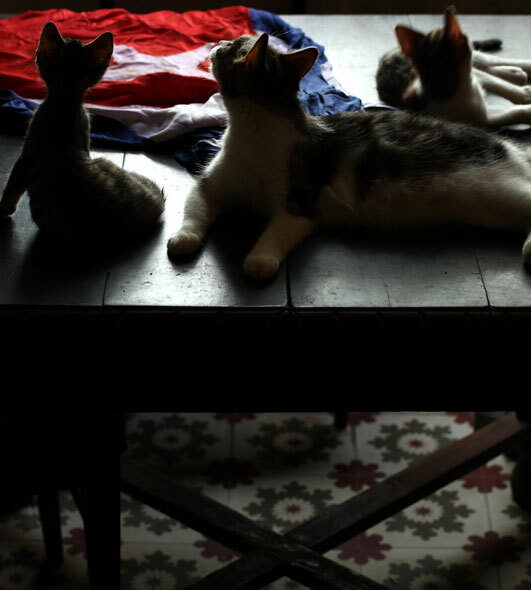 Who thought of not following the retrovolucionary beat of the government in Havana? No improvisations. More of the same. Pressure will make the grandfathers of utopia fall. This time it will work. I promise. Fewer yumas in Cuba (State Security expels them for that reason and not for ideological ones), fewer tourists, less pleasure of finding each other face to face, fewer digital gadgets, fewer orgasms in English (oh my oh my), less white skin pink cheek, fewer college magazines, less chewing gum, fewer interviews, fewer invitation letters, fewer visas, less Interests in the Section, fewer green cards at the excess of white cards, anyway…Fewer years two thousand, more of last century and millennium. Less capital, more socialipsism. Put just a little more pressure on the mixed arabesque guy, darn it, and you’ll see how by the end of the year half of Cuba will await him with a part-time job in a Hialeah factory. They are little foreign Fidels. Does it take so much to admit that the Revolution was nothing, and that, however, that nothing won? Why should we have to pay with hunger and sickness? Why don’t thousands and thousands throw themselves in another Freedom Fleet and you’ll see how we give each other a great hug of transition, millions and millions in the very wall of malecón. Why should we continue with another beat of cutting here and dialogue there? It is a reduction to absurdity, but absurdity is our daily bread as a nation here and there: Couldn’t we pretend for a year that Cuba is the most democratic nation in the planet, and treat it as such, maybe in a year it really will be? Oh, please. Let’s admit it. What we want is to kill and to have us killed. There are no luddites. There is no delirium. When our democracy gets here it will be emaciated. Anti-American. The only things this country does not tolerate right at this moment are thinkers as terrible and dumb as Orlando Luis (I already said it myself to save them the commentary). Yesterday’s dead are a permanent fatum in favor of the Revolution: executions occurred at first not to take power violently, but rather to never let go of it without the same quantity of senseless blood. Work hard. You’re winning. The massacre will be more than a media one. Its first victim guarantees it.